Hi there! Looking for places to eat with your loved one(s)? Or are you planning on a proposal? Or just looking for an eatery for a simple get together with close friends? 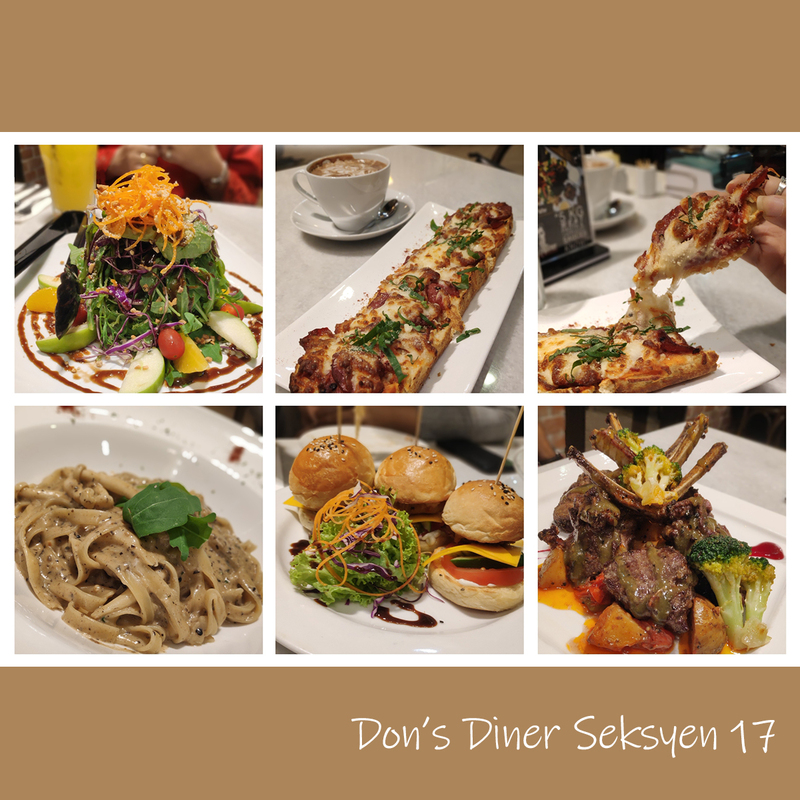 Then I would strongly recommend you to try out Don's Diner @No 22, Jalan 17/54, Seksyen 17, 46400 Petaling Jaya, Selangor. I got to taste and enjoy 5 of their dishes thanks to my parents; they are the ones who discovered this western restaurant with their bunch of office friends. It is a rather quite diner with all the Hollywood Cowboy inspired decorations. For some reason, I also felt like it had a little bit of a Victorian-era vibe, as their cutlery set had vintage filigree motifs on them. Don't worry my Muslim friends, this place is totally Halal. So you may leave all your worries behind. I'd most likely need to head on back to Don's Diner for another round as I have completely forgotten what were the name of the dishes that I ate. This post may seem a little half cooked, because I'll be honest, I only remembered to take pictures of the mouth-watering food before I kept my phone aside and just enjoyed all the savoury food without thinking of anything else. So forgive me, for not being as thorough as I usually would. But no worries, just to pique a little bit of your interest for this yummy western cuisine, I am going to share with you a picture collage of the dishes that I got to taste! Portion wise, there's nothing to be afraid of, however, if you are a small eater please don't be greedy and order too much. Sharing with your partner or friends or family members is a better way to go around it. For the big eaters, you'll be in heaven. 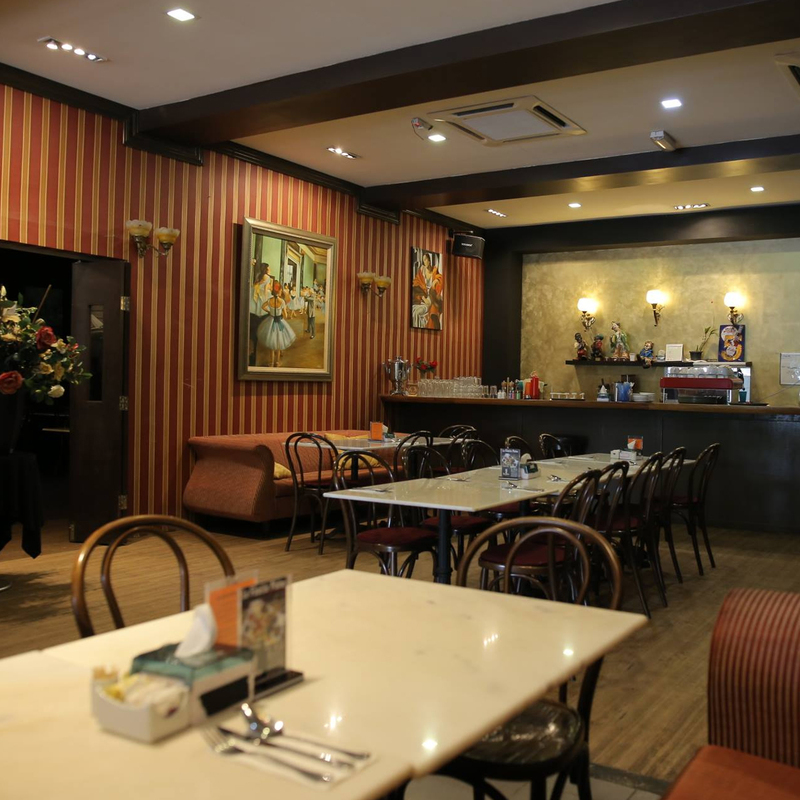 It is one of the best western cuisine restaurants that I have been to. 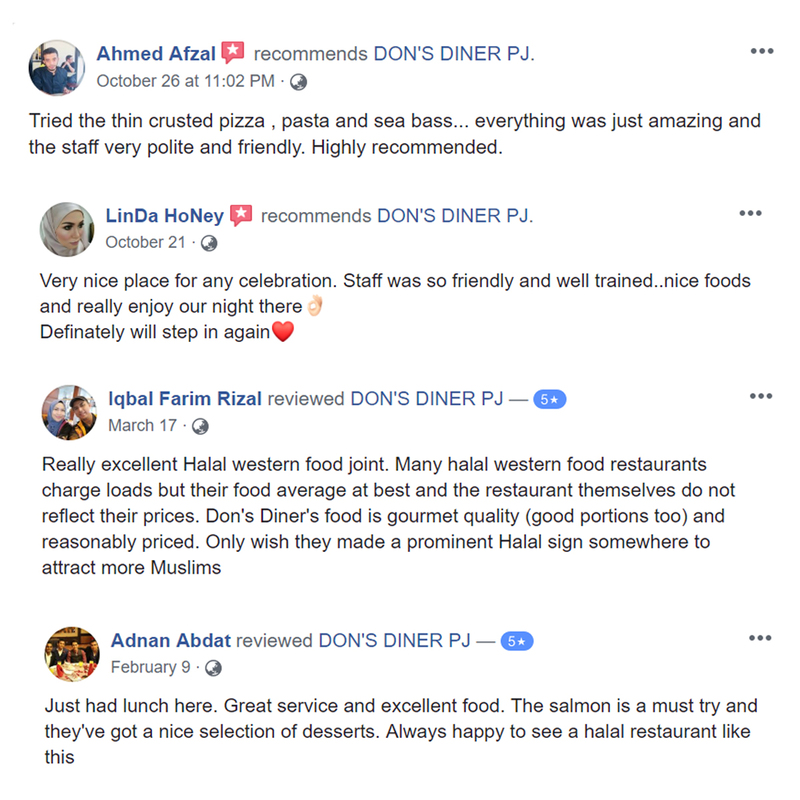 I am confident that you will be able to enjoy your meal at Don's Diner too, so do give it a try and let me know afterwards how did it go for you, in the comment section below. This post will be updated after my next visit to Don's Diner; do subscribe to my newsletter to stay in the loop!